Tabernash is located between Fraser and Granby. It's home to Devil's Thumb Ranch and Pole Creek Golf Club. Devil’s Thumb Ranch is an ode to the historic Timberline Lodge at Mt. Hood, Oregon. Rustic elegance meets life on the ranch, and you’ll never run out of things to do. While it’s a wildly popular wedding venue, Devil’s Thumb is also ideal for romantic, family, and even solo getaways. 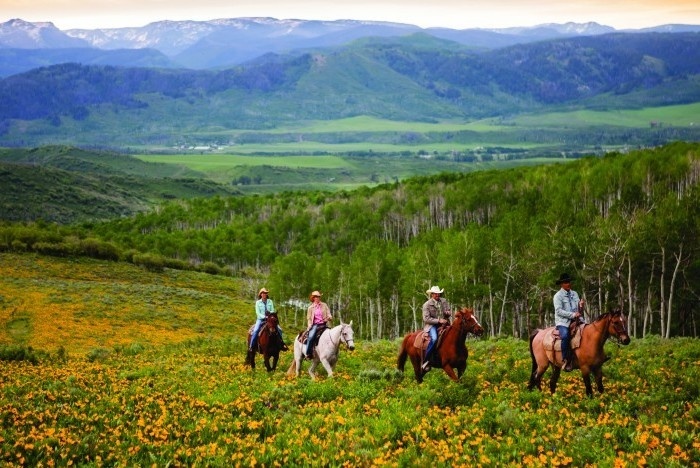 Enjoy all the spa services along with fly-fishing, cross-country skiing, horseback riding, hiking, fine dining, and much much more! Pole Creek Golf Club is one of the few public 27-hole courses in Colorado and the only one in Grand County County. Pole Creek's 7107-yard course meanders through lush fields replete with native wildflowers, drastic elevation changes, vast bent greens and water challenge shots over two ponds and five lakes. The data relating to real estate for sale on this website comes in part from the Internet Data Exchange program of Grand County MLS. Real estate listings held by brokerage firms other than the owner of this site are marked with the Internet Data Exchange logo and detailed information about them includes the name of the listing broker. This data is updated daily. Information is deemed reliable but not guaranteed. IDX information is provided exclusively for consumers' personal, non-commerical use and may not be used for any purpose other than to identify prospective properties consumers may be intrested in purchasing.